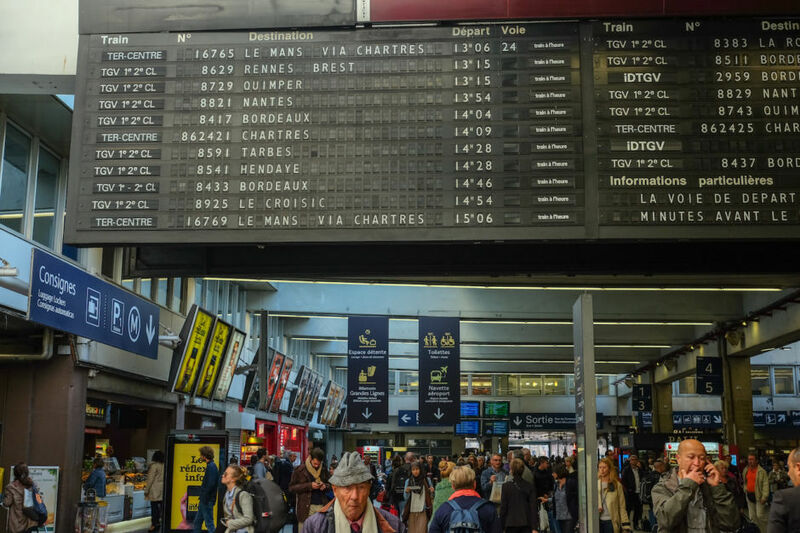 The decision to head north from Paris and spend three weeks meandering from Brittany south along the West Coast to Bordeaux, all by train, was largely spontaneous. I met someone while cycling along Paris’s canals who patriotically mentioned the beauty and history of the northwestern corner of the country. A few days later I hopped aboard a train at Gare du Nord in Paris. Over the next three weeks, I barely spoke a word of English and hopped between several delightful Airbnb hosts as I slowly pieced together a trip between some of France’s most charming, beautiful, and under-explored towns along the beautiful, whimsical West Coast. To the daily commuters who have somewhere to be at a set time, rush hour in Paris is a frustrating process. But for those who have time to pause - to look up at the ticker boards, observe the intricate details of the tiling, roofing, and flooring, to watch families, friends, and lovers parting or reuniting, or simply stop and absorb the energy of Paris’s working class - it’s full of rewards. 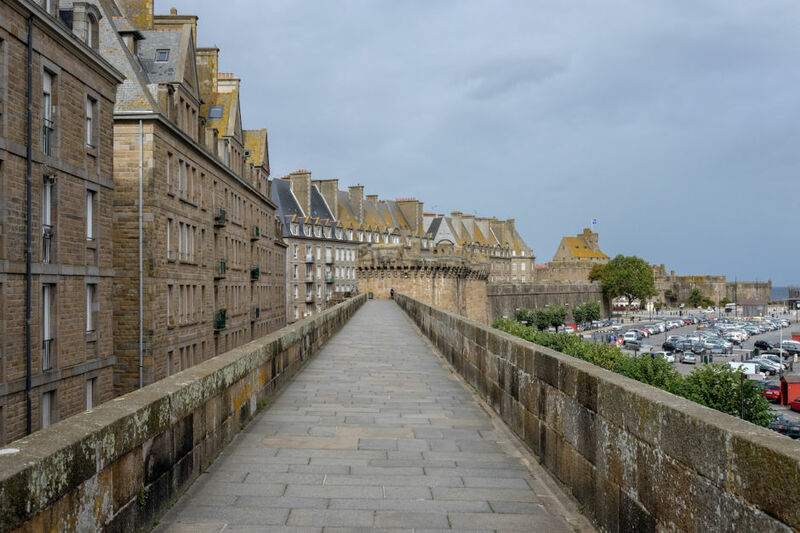 Much of northern France feels a bit like a fairytale, and arriving in the walled coastal town of St. Malo at dusk was no exception. I walked the circumference of the fortification as the setting sun cycled through various shades over the emptying tides below, and eventually nestled into a small crêperie as darkness, and an eerie silence, fell over the cobbled roads. As I walked the silent streets after dinner, past the dimly-lit restaurants, shuttered windows, and exclusive boutique hotels, the only sound punctuating the fresh October air was that of a pair of high heels, clip-clopping around the corner down a nearby alleyway. The next day I returned to the walls at sunset. To my right, a man walked gingerly along the edge of a large tidal pool, oblivious to me watching him several hundred meters away from the old town walls. He reached a concrete diving platform, scaled the ladder, and stood there taking in the large skies of the French north coast until they turned to black. I lifted my camera, snapped a photograph, and considered how strange it was that this distant lone silhouette would forever live on my hard drive, without us ever having met. 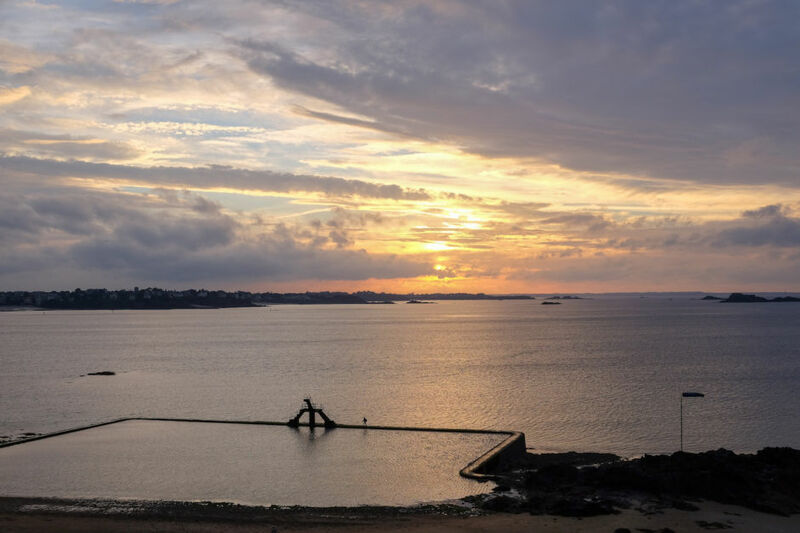 There’s a stately charm to the Brittany capital unlike any other city in France. 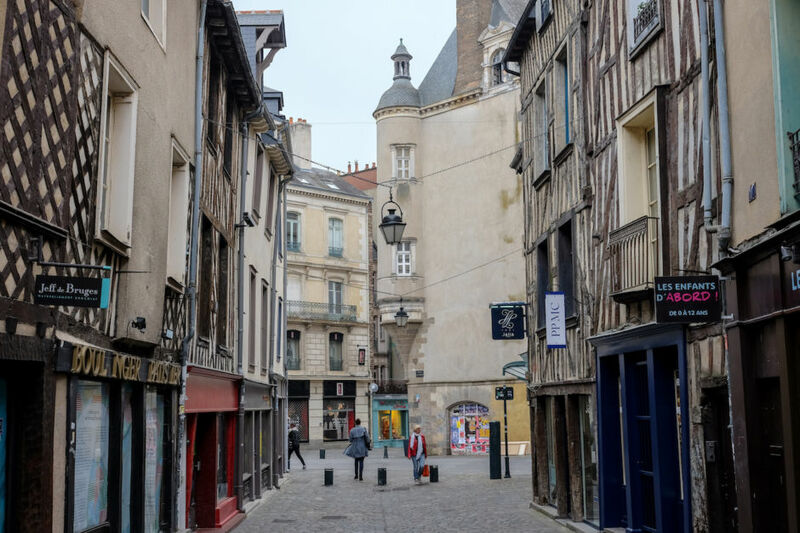 Though Rennes’s more regal buildings might blend in with those of Paris or Bordeaux, it’s the rickety appearance of the half-timber houses in the old town that give this city an absorbing edge. 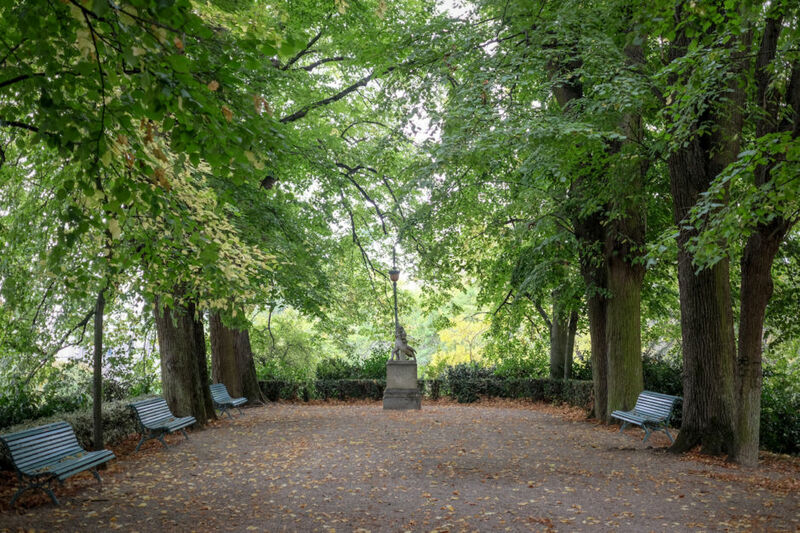 When you consider its hedonistic bar-lined streets that appear to ooze beer, any number of traditional restaurants and trendy new eateries from which to choose, and vast natural parks, along with a train station that’ll connect you to most major cities, Rennes is a worthy inclusion on any French rail trip. 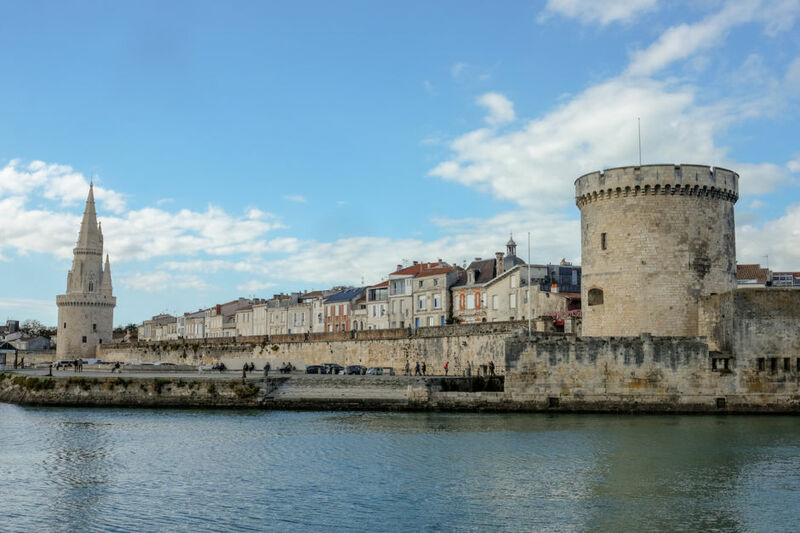 Time in La Rochelle seems to stand still, especially on weekends when most of the action is confined to the harborside cafes. Junior sailing regattas take place on the sheltered waters just beyond the medieval towers standing guard, and there’s a sense that the people fortunate enough to live here do so at a pleasantly tranquil pace. 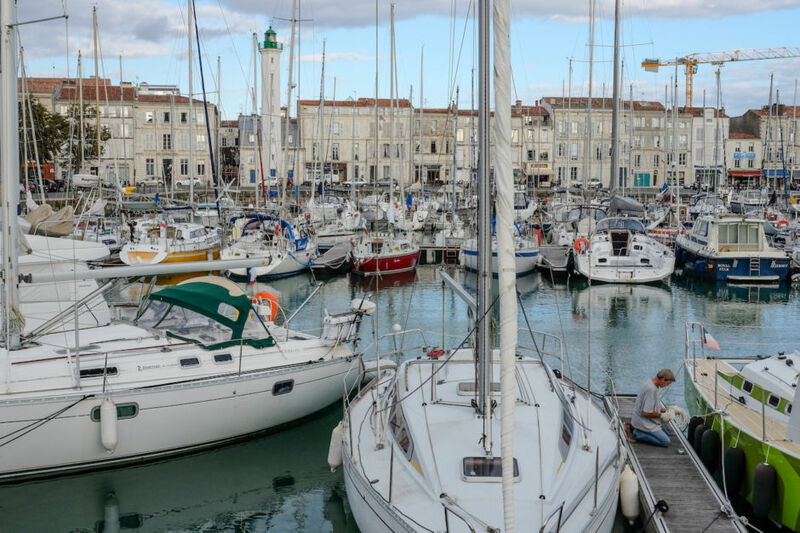 The repetitive tinkling of ropes against masts, and the occasional squawk from a vocal seagull, mean even sitting on a bench overlooking the harbor in La Rochelle is a thoroughly therapeutic activity. Bordeaux has seen a rejuvenation of sorts in recent years. Still best-known for its wines, its once-ailing old town and inner city have seen a rejuvenation of sorts. 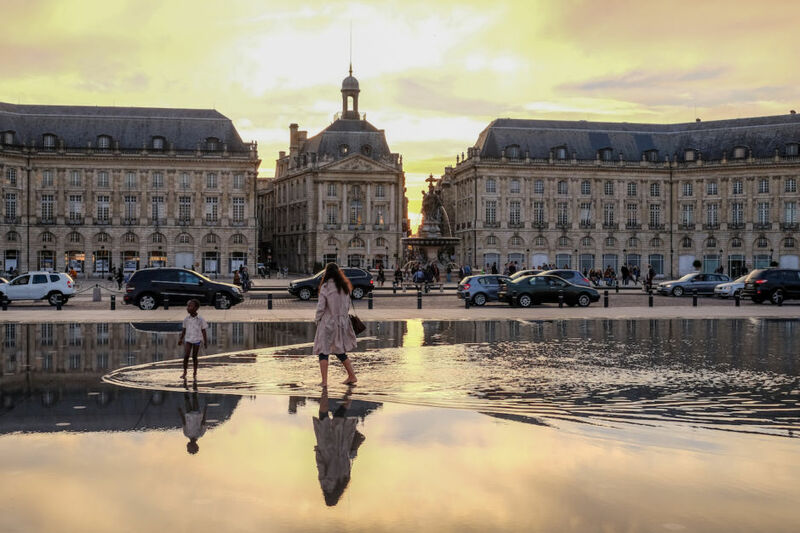 Though a journey into the vineyards is a necessary pilgrimage for wine connoisseurs, time spent along Bordeaux’s riverfront, ambling through the old town, and sampling wines at the numerous bars and trendy restaurants is time equally well spent. And given its convenient location to the border, and the beautiful Basque Country, it’s an ideal gateway into Spain.